Unelaborate empowerment called "Jewel Net". Author: Longchen Rabjam . 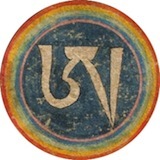 Anyone know if these are from the Vima Nyinthik or the Khandro Nyingtik? If anyone knows about a translation of these texts I would be very grateful. Receiving these empowerment's changed the course of my life. Any other information about them are very welcome, I can just find this below on the net. "Shri Singha was able to withdraw the texts Manjushrimitra had hidden in the rock near Bodhgaya and divided the Secret Precept series of instruction into outer, inner, secret and uttermost secret cycles, graduated according to the heightening lack of conceptual elaboration. These four were to be accessed through the four Dzogchen empowerments - elaborate, simple, very simple and most simple." These are from the Lama Yangtik. Translations in French were done by Jean-Luc, although they are unpublished so far. mutsuk wrote: These are from the Lama Yangtik. Translations in French were done by Jean-Luc, although they are unpublished so far. Is this the manual for the empowerment's I mentioned before or is it a separate empowerment, do you know? Apart from Jean-Luc's translation have you heard of an English of that text? I just asked JL about this and his answer is that the first text you mention is a later manual on the Bima Nyingthik tradition. It says it represents the merging of the earlier and later Nyingthik, which is the case, as the author himself clearly states at the beginning that this manual contains the profound instructions (zab khrid) merging into a single flow (chu bo gcig 'dres) the tradition of mother and son Heart Drops (snying thig ma bu) of Vimalamitra. By "mother and son" one has to understand here Bima Nyingthik properly and Lama Yangtik. So it's a general manual compiling the instructions of these two cycles into a single text. The teachings were given recently (I don't remember exactly when but it's about a couple of years ago, more or less) in France by Norbu Rinpoche in a Kagyü center. I don't know any English translation of the second text you list. I will ask JL if he knows and possibly come back to you here if he has an answer. I'm sure you must have already asked Erik Pema Kunsang, no? Thanks mutsuk I do appreciate your help. To ask Erik you got to catch him first. I was so close to go to that teaching, I got to have some karmic connection there. Anyway, it is an instruction manual not an empowerment? Also do you know what the "seven groups of Dharma protectors" are in the last empowerment (Ekajati) of volume 2? mutsuk wrote: The teachings were given recently (I don't remember exactly when but it's about a couple of years ago, more or less) in France by Norbu Rinpoche in a Kagyü center. Actually it was in September 2010.
heart wrote: Anyway, it is an instruction manual not an empowerment? Yes it is. It's a "triyik" (khrid-yig), instruction manual. They are the Damchen Dedun (dam-can sde-bdun), the seven oath-bound deities : 1. Maning Nakpo, 2. Ekadzati, 3. Remati, 4. Shenpa Sodrup, 5. Zadü Rahula, 6. Dorje Lekpa, and 7. Nödjin Marnak. There are 2 sadhanas there, ever heard about a translation? As far as I can see from the titles and contents, there is no Longde initiation ritual in these volumes. Usually, Longde has a set of initiations centered on Ngondzok Gyelpo (main yidam deity), such as in the Kama collection. I think there are several Italian and French translations of these works but I don't know what is published or not. I know JL has a publication scheduled on Longde but I haven't seen the draft yet. It took a long time to receive and centered around samanthabadra/samanthabadri and the 8 bodhisattvas and their consorts. If I remember correctly there was four lines of pith instructions for each deity. Hi Magnus, No 16 in your list is the empowerment. The translation of the title is a bit misleading, it's not a sadhana, it's a blessing rite. ratna wrote: Hi Magnus, No 16 in your list is the empowerment. The translation of the title is a bit misleading, it's not a sadhana, it's a blessing rite. Thank you a lot Ratna! That was the missing piece for me. You know anything about translations of the Longde sadhana "The sadhana of the four yogas of Long-de Dorje Zampa and Heruka Ngon Zog Gyalpo called "The Ocean of Wisdom"; Author: Jamgon Kongtrul Lodro Thaye" and Menagkde guru-yoga "The sadhana of guru yoga according to Dzogpa Chenpo Man-ngag Nying-tik called "The ornament of creativity of Samantabhadra". Author: Jamgon Kongtrul Lodro Thaye" ? heart wrote: Thank you a lot Ratna! That was the missing piece for me. You know anything about translations of the Longde sadhana "The sadhana of the four yogas of Long-de Dorje Zampa and Heruka Ngon Zog Gyalpo called "The Ocean of Wisdom"; Author: Jamgon Kongtrul Lodro Thaye" and Menagkde guru-yoga "The sadhana of guru yoga according to Dzogpa Chenpo Man-ngag Nying-tik called "The ornament of creativity of Samantabhadra". Author: Jamgon Kongtrul Lodro Thaye" ? I don't know about the translations of these texts, unfortunately. The first is a text on the four practices of cleansing; actions of body, speech and mind; the Guru's blessing; and the yoga of the wisdom vajra. 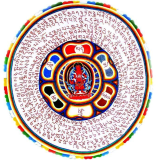 The last of these consists of creation and completion, of which this text treats the creation stage practice of Heruka Ngondzog Gyalpo which takes up most of the text. Thank you very much for sharing this information Ratna, it is much appreciated. Could you elaborate a little on this four yogas if you feel it is appropriate in a public forum or just send me a PM? Thanks! heart wrote: Thank you very much for sharing this information Ratna, it is much appreciated. Could you elaborate a little on this four yogas if you feel it is appropriate in a public forum or just send me a PM? Thanks! I have really only glanced at this text, it would be better if someone more knowledgeable about this system commented on it.